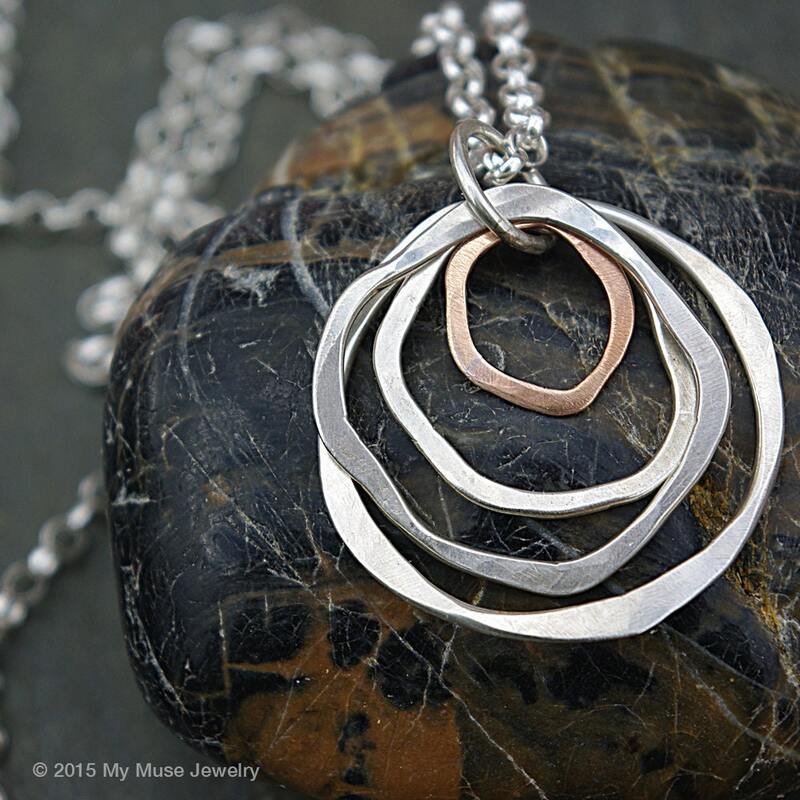 This necklace has 4 gorgeously handmade, hand-forged organic shaped circles. 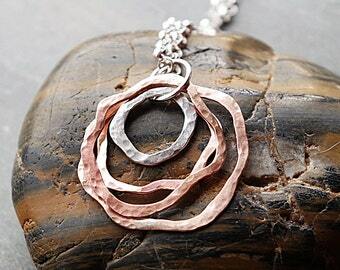 Each one has been hammered differently to create an interesting layering of each on top of one another. I added a bronze small circle for a dash of color. 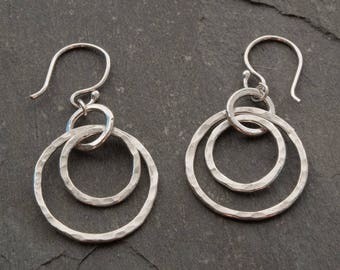 They hang freely from a soldered jump ring. 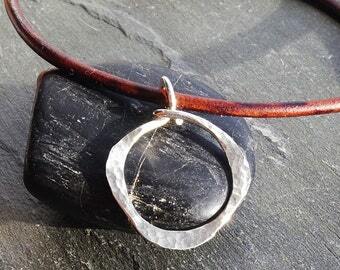 I have this pendant hanging on a heavier 3.4 mm sterling silver rolo chain. You can choose to wear this short or long. 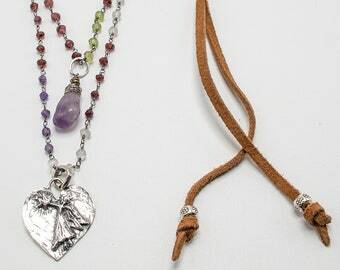 If you choose the shorter version a sterling silver lobster clasp will be used for the closure. 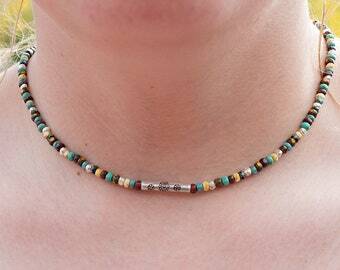 The longer version can be put on without a clasp. 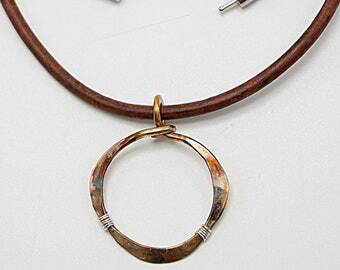 PLEASE NOTE: The diameter of the outer circle in this pendant is about 1 1/4 inches (picture #5). If you would like it larger, please send me a conversation and I will be happy to make a custom order for you. ****current in-stock chain will be a rollo chain but may vary slightly from pictures. These are made to order. Ship time on these will be approx. 1 week from date ordered. If you need this item by a particular date, please send me a convo first. These are not made from machine made findings, they are my hand forged components, textured, tumbled, and polished for just the right look. They are very organic and rustic. 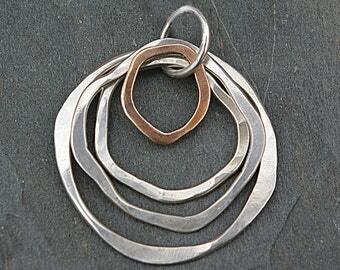 The pendant hangs about a 1 1/2" from the chain including the jump ring. This necklace will arrive in a kraft brown box with a pretty ribbon. Save the wrapping hassle and add gift wrap for $4 upon checkout, example seen in picture #7. 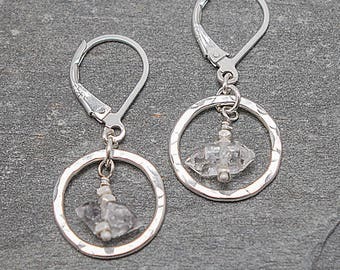 **Each pendant is made individually and may vary slightly from the picture. The in-stock chain may vary as well. May be put on a 3mm leather cord also. 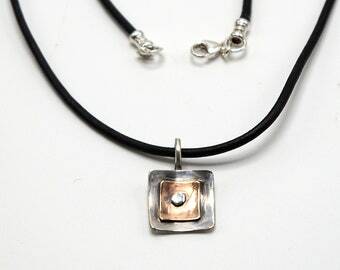 When this pendant is on leather cord it will have stainless steel plated bronze clasp. Very unique and very well made. Doesn’t feel like it will just fall off which is often a problem with handmade items. Thanks! Beautiful craftsmanship, item is as described. Great communication! 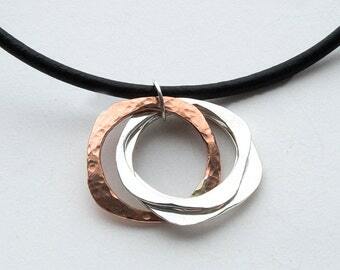 I think this will be a "go to" necklace. 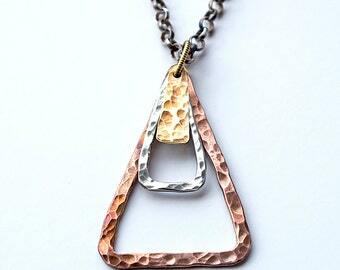 Love the thicker chain.